- Reputable moving companies charge a fee based on weight, along with their base fee. If you’ve talked with someone who has given you a basic price without coming to your home to estimate, or who doesn’t look at everything you have, they may throw an extra fee on your balance before they’ll move your items into the new home. - If the movers ask for a deposit, find another company. Paying money up front takes away your control over having your belongings delivered where and when you want them. - Before you or the movers start packing, take a written inventory of your things, and take photos of fragile, expensive, or irreplaceable items. - Get a contract, go over it with a fine-tooth comb, and once it’s signed, make your own copy so you won’t have and edited version with added charges once it’s time to deliver to the new home. - If you’re moving to another state, movers are required to give you a booklet called “Your Rights and Responsibilities When You Move,” according to the Office of Inspector General. If the company you’re interested in doesn’t offer it to you, ask for it, and if they don’t have it, find another mover. - Once things are packed, number your boxes and list them on your inventory, and once you’re moved in, unpack or at least look in every single box. Your time for filing damages is limited, and the sooner you get that done, the better. 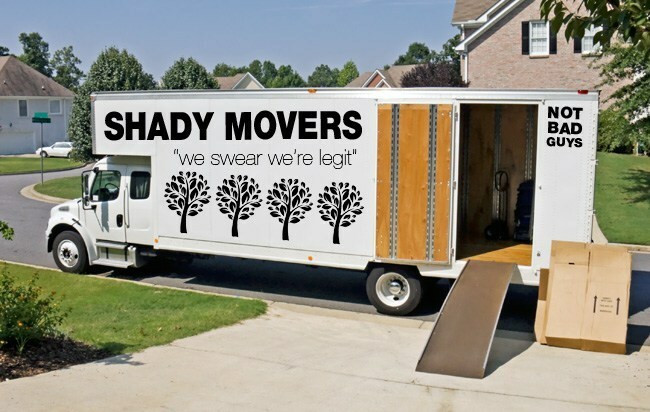 - Most mover’s insurance only covers damage to items that they packed. If you insist on packing some things yourself, take them with you in your vehicle or rental. - Stumped on finding a reputable company? Head over to the American Moving and Storage Association’s website, where it’s easier to find a mover in your area.